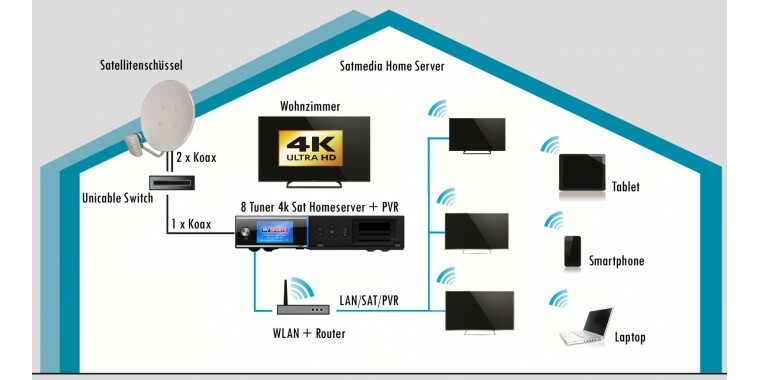 The set #E only needs a COAX line from the satellite dish to the Satmedia All In One home server receiver and provides 8 tuners on the receiver and in the network. 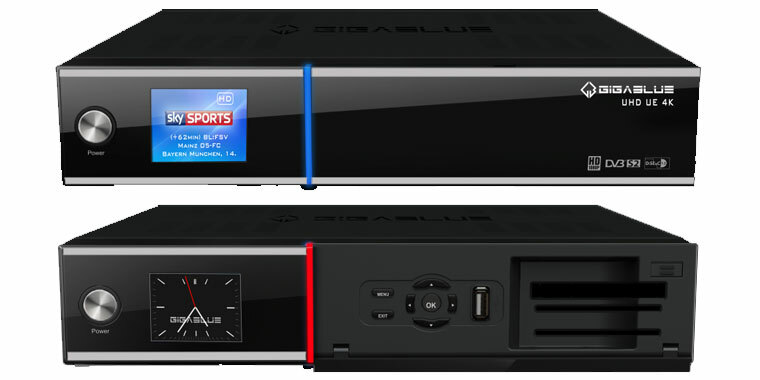 Another 16 tuner / receivers can be connected via the splitter. Thus, our system needs only a coax lines from the satellite dish to the main unit (living room). 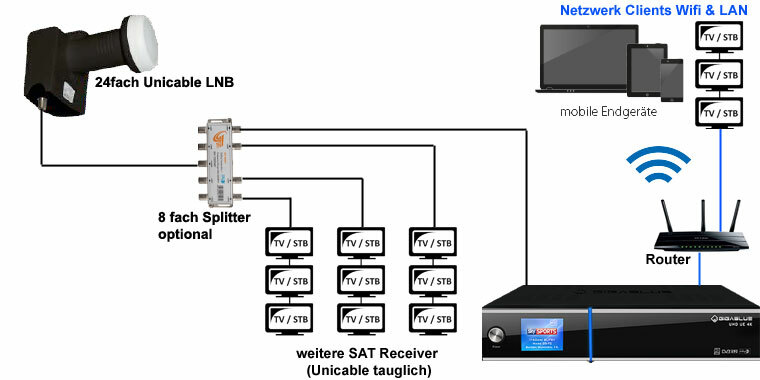 Yes, our Unicable Single LNB even has 24 receivers (tuners) available via a single coax line. In SET #E, install the Unicable LNB on the satellite antenna. Only one coax cable to the receiver is needed. 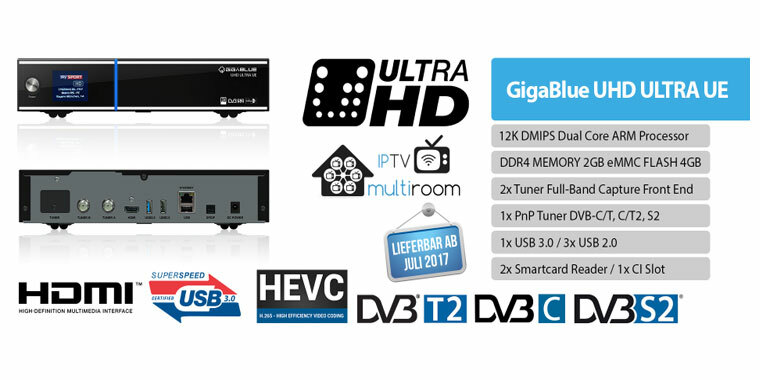 8 tuners are used by the Satmedia Home AllinOne receiver. 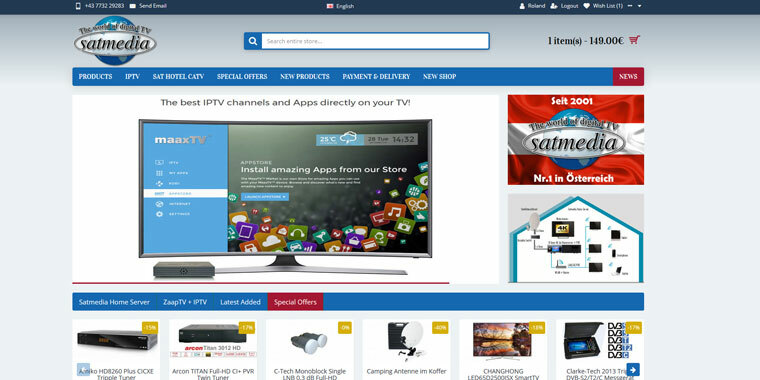 The remaining 16 tuners are available for additional devices. 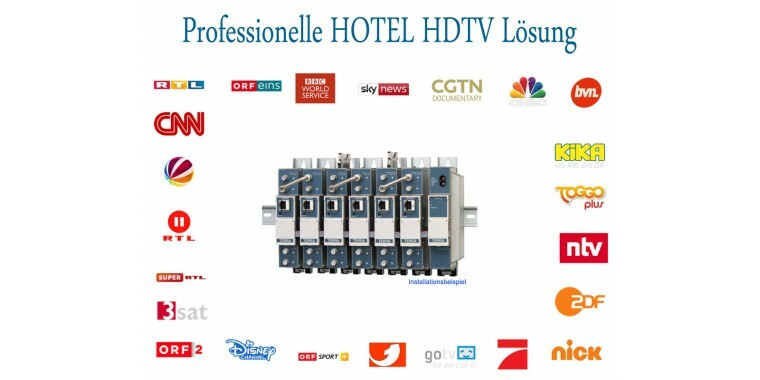 An 8-fold splitter is included in the package.